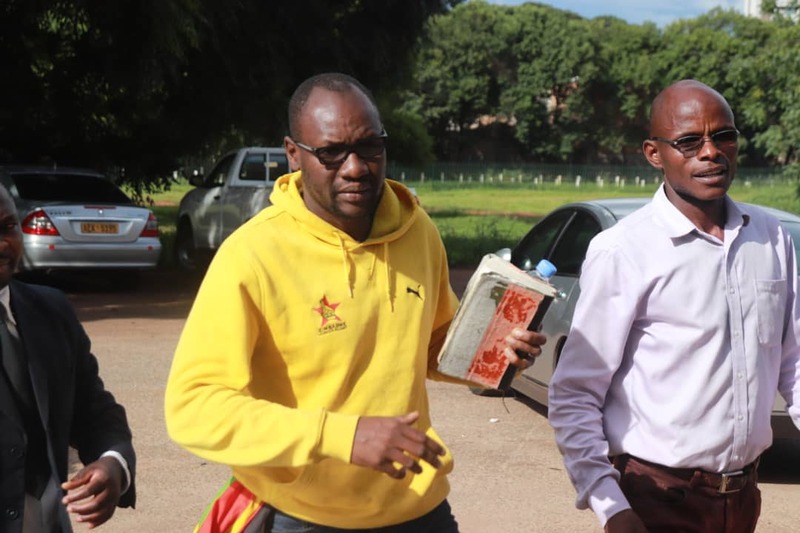 #ThisFlag movement founder Evan Mawarire and Zimbabwe Congress of Trade Union, (ZCTU) president Peter Mutasa bid for refusal of further remand has hit a brickwall after Magistrate Rumbidzai Mugwagwa dismissed their application today. The cleric man and Mutasa were arrested in January this year following the video which they recorded on social media urging people to stay away, which the state is saying caused people to act in a violent manner and destroy property, hence subversion of a constitutionally elected government. Representing Mawarire, Aleck Muchadehama and Tonderai Bhatasara for Mutasa both submitted to the court that the state is doing injustice in keeping the accused persons tied on remand with stringent conditions without trying them. “It is verge for the state to say that they want to keep the accused persons on remand simply because investigations are still underway yet they initially said they needed six weeks which have already lapsed,” said Bhatasara. He went on to say that the state will suffer no prejudice in releasing the accused persons and urged the court to order for a refusal of further remand and that the state will proceed by way of summons when they are ready. “The state can not keep the accused persons coming to court without furnishing them with a trial date. The accused persons are on tight conditions and they are enduring the cost. “There are other people who were arrested prior to the 14 to 16 January alleged events and their matters where dealt with and done but now these accused persons are not being tried and their rights are being infringed,” said Muchadehama. Meanwhile, ZCTU secretary general Japhet Moyo who is represented by Muchadehama also applied the same application to be released from remand. Japhet Moyo is being alleged to have masterminded the meetings which led to the questioned stay away. However, Mawarire and Mutasa are jointly charged with subversion of a constitutional government. Allegations are that the video they recorded on social media encouraging people to stay away and protest on the government misrule. The state is of the case that the accused persons were the reason why people ended up violent on the day of stay away although in the video they denounced violence, it however provoked people to do so. However after the resumption of the proceedings in the afternoon, Harare Magistrate Rumbidzai Mugwagwa dismissed the application on the basis that there was no inordinate delay. State had undertaken to complete investigations within six weeks but did not do so however they said that they want to seek authority from National Prosecuting Authority (NPA). Muchadehama urged the court to put the state on notice that on the next remand date, 25 April they will refuse a further remand.